The CLAW pencil grip comes in two sizes – small and medium. 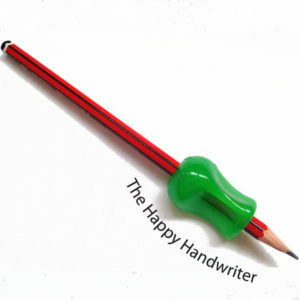 The CLAW pencil grip small suits pre-school children with tiny fingers. If you are uncertain you can try the Mixed-Pack which gives three small and three mediums so you can try out which is the best size for your child. While I am not so fond of the name of this grip, I love what it does for the children’s pencil grips! Although I initially thought it looked unappealing, the children seem to find them very comfortable and I have achieved good results with these grips. I thought the children may not want to use them but I have not found that at all. Many of them are actually quite proud to use it. I like the fact that they place the fingers in the correct position while facilitating finger movements which is what gives us speed and quality of handwriting. Your CLAW can fit comfortably on either a standard sized pencil or a twisty crayon. Remember pencil grips are a bit like nuts and bolts – you need both to get the best results. 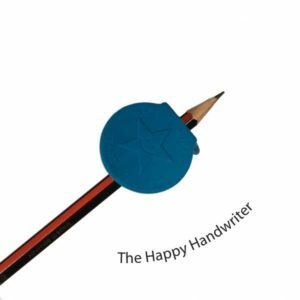 You can’t just give a child a pencil grip and expect that everything will come right on its own – you need to work on developing the muscles and movement patterns for pencil control in conjunction with the grip. 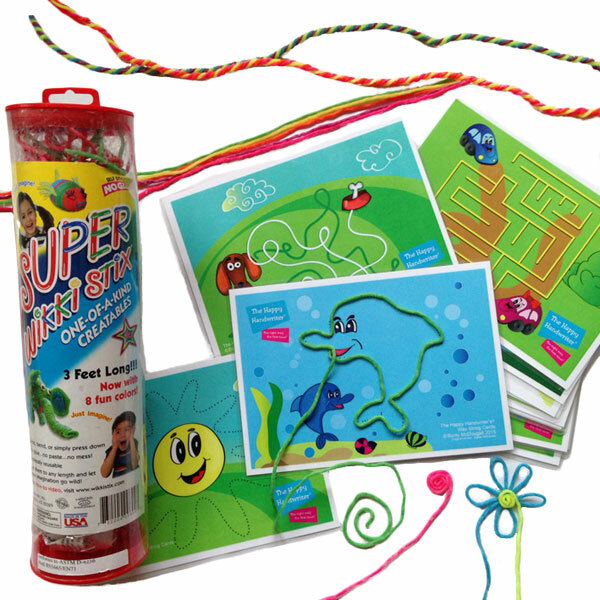 The Fine Motor Fun kit activities target the muscles and movement patterns for pencil control and the use of the two together can bring about great results. Looking for a bigger pack? Click here.